I teach. My school and community have been very welcoming and receptive to my teaching. My students ask questions and engage in discussions. While some classes have lessons prescribed and guided by the Ministry of Education, I’ve been given much freedom to adjust to meet the needs of the students. Lessons have included drugs, love, and consent among other things. The phrase, yebo thishela (pronounced yay-bow tee-shay-la), is one that I hear often. It’s direct translation is “yes teacher”. 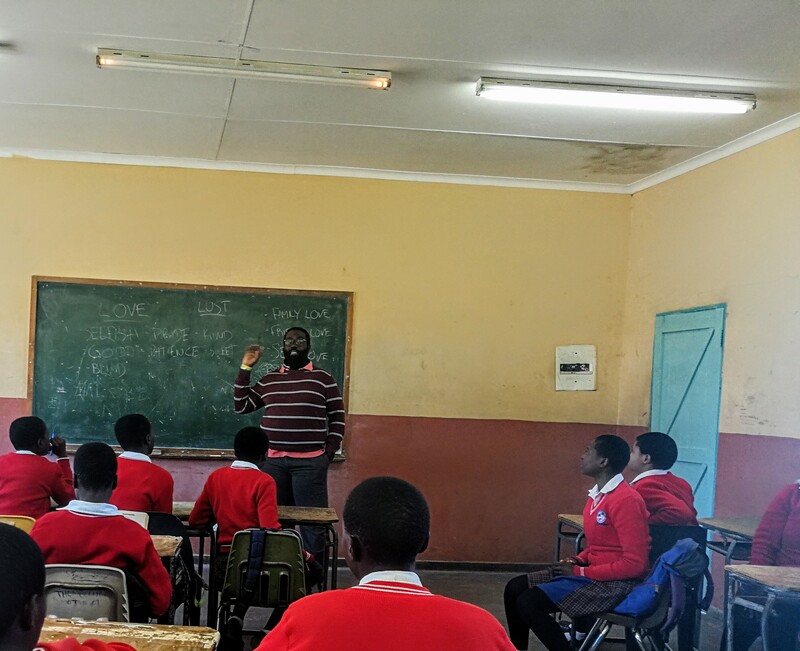 This picture was taken during a lesson with Form 1 students. This week, my students will start taking their internal exams on various academic subjects to showcase what they’ve learned so far in the school year.